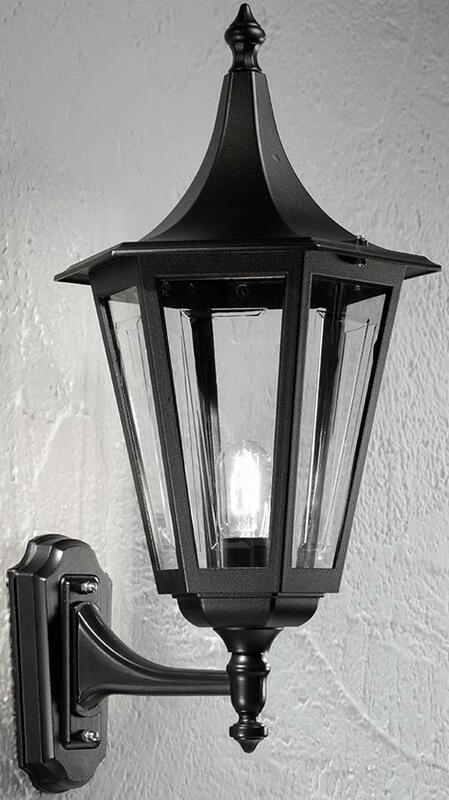 Part of the traditional Boulevard range of outdoor lighting from Franklite. A traditionally styled superior quality Italian die-cast aluminium exterior wall mounted lantern finished in matt black. A chunky wall bracket, with a curved tapered arm that supports a large upward facing six sided lantern, with clear polycarbonate panels and pointed lid. Rated IP43 and suitable for outdoor use.